Always interested to speak with local individuals and artisans that are doing great things on their own terms; we met with Andrew Almond for a coffee to talk about Bolt London, the custom motorcycle shop and exhibition space that he founded a five minute ride from our studio. 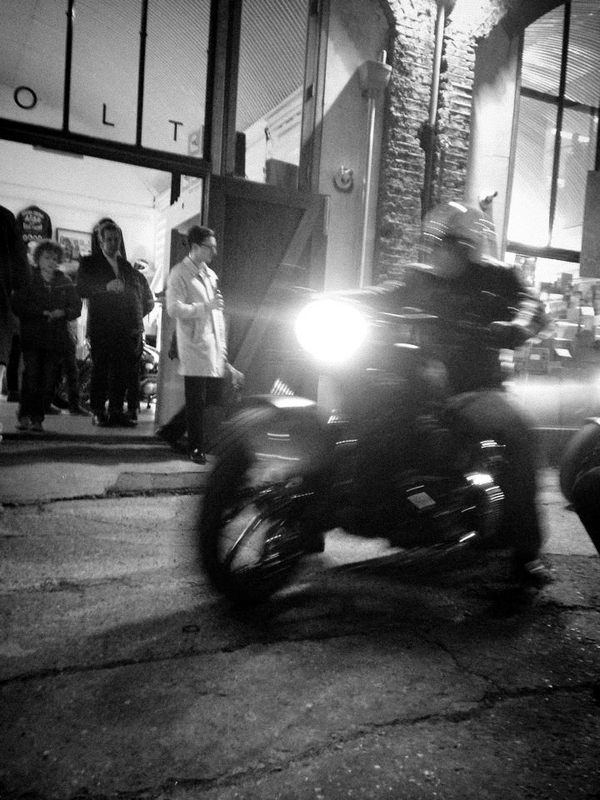 Bolt is both a social space for motorcyclist and enthusiasts and an art gallery that looks to promote creativity, design and artistry around motorcycles. Supporting this is an apparel, parts store and cafe. What made you want to run your own space / shop? I packed in my career so that I could do something where there were no barriers, to have creative control and to learn the skill of business first hand. When selecting products for the shop, what do you look out for? I am interested in the people and the process behind products, why it was made and what went into it. Everything stocked comes from people who ride - those who live with the culture. I would like to see more confidence in bigger brands to support new artists and designers. We have a great heritage and this just gets better but when looking at new items. There should be more risks being taken. You run events regularly at Bolt, could you talk us through your thinking behind that? Bolt is situated in a series of interlocking arches and is home to a rather hefty soundsystem and stacks of bike parking, it might not have been designed to be a party venue but it hosts them well. Motorcycles are about escaping the hum drum, I do not want to be a digital brand despite the late nights. Of the event’s that you’ve hosted, which has been your favourite? The first launch in the original arch, I really had no expectations and fraying confidence that I had turned an arch and a pile of old wood into something that could convince people it was a shop. The first location was near impossible to find and bikes circled hackney, lost and angry on the throttle. They kept spilling in until the yard was full and then they lined up down the street. What’s the best and worst part of running Bolt? The endless supply of alcohol, listening to loud music and riding around on a stock of great motorcycles and definite pluses. Meeting a wide range of people and hearing their stories is the most fulfilling. The point in the party when you realise you'll be clearing up straight through to the shop opens can be testing. Any tips for someone wanting to start their own project? There's a lot to be said for taking risks.